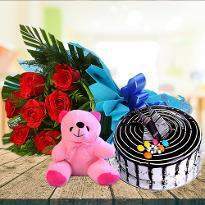 Send Valentine Gifts to your loved ones in Agra and make them feel special. 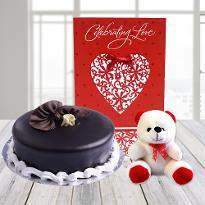 Winni offers a wide variety of Valentine day gift options to choose from. 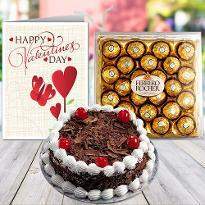 Create some unforgettable memories on this valentine with your loved ones. 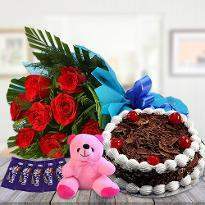 Just place your order online and get your Valentine gifts delivered on the same day and you can also place your orders in advance in case you don’t want to miss out on this special occasion. 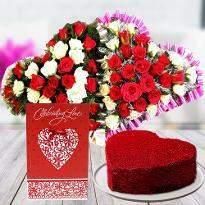 So don’t think and order fast and let your feelings be expressed on this valentine’s day. 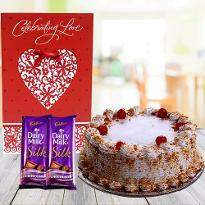 Make her heart sing with beautiful Valentine's day gifts this 14th February. 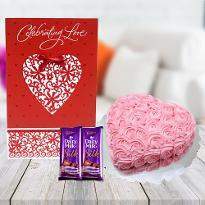 Browse our extensive collection of gifts for Valentine’s Day to find the perfect one for the love of your life. 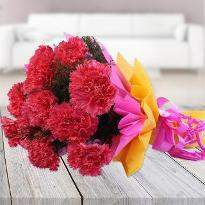 Choose red roses to symbolize desire and love, our lives to serve as a beautiful display of your affection. 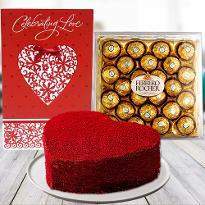 From eye-catching handbags to delicate chocolates, we offer a massive array of Valentine’s day gifts designed to suit every personality. 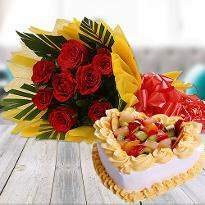 Whatever you choose, our flawless delivery service is guaranteed to be a hit with the special someone in your life. 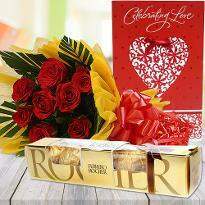 Looking for fast Valentine’s Day gifts delivery to put a smile on your special one's face? 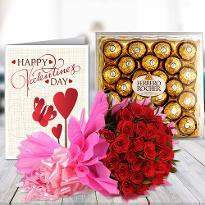 If yes then explore our amazing Valentine gift collection and get a perfect Valentine gift delivered from here. When life gets hectic and Valentine’s Day creeps up on you, Winni is there to save the day. 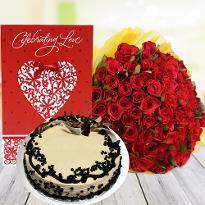 Consider us your Valentine's Day lover; we'll put a rush on your order and ensure prompt delivery. Open 365 days a year, Winni is always on time, even when you're not. 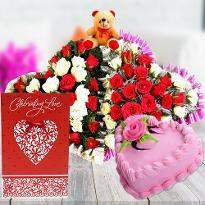 Convey your love and commitment this Valentine's Day with help of Valentine gifts. 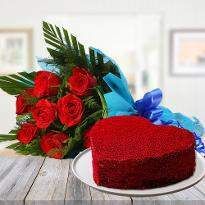 It’s never been easier to show your significant other how much you care, but with Winni it's possible. 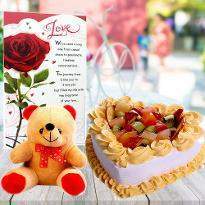 Sending a token of love to the land of Taj Mahal has to be something special. 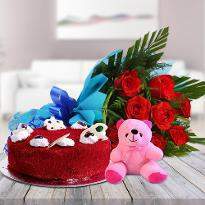 For valentine’s day gifts to Agra, we have some mesmerizing display of products like personalized cushions, coffee mug, lamp, home decor, teddy bears, gifts hampers, etc. 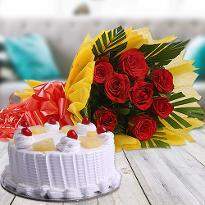 along with the heart-warming bouquet. 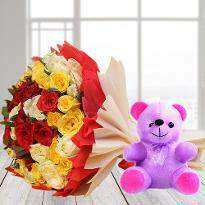 Choose the best one and let the love bloom. 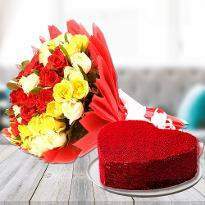 Valentine’s Day in India is a day of reviving the bond of love for the lovers. 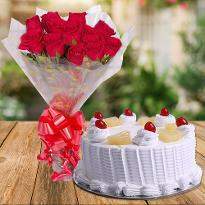 So it is a day of loads of excitement for every couple and to take the excitement level one step higher we have come up with a huge range of online Valentine gifts in Agra. 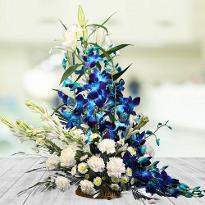 It is the ease for everyone to express their warm wishes with a token of love to the special one residing in Agra. 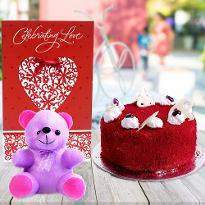 For selections, the entire collection of Valentine’s Day gifts to Agra has to offer a variety of heart winning and impressive Valentine gift online. 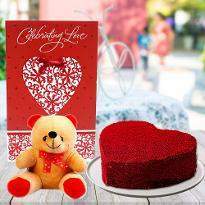 To buy Valentine Gifts online, Winni gives you plenty of options like Heart Shape exotic chocolates, personalized mugs, Heart shape bouquets, perfumes, grooming hampers, jewelry, handbags, clutches, makeup, cuddly soft toys, Heart Shape cushions, photo frames and much more. 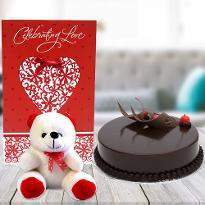 So why wait when so many amazing and heart winning Valentine’s day Gift choices are available online to buy in a matter of few clicks. 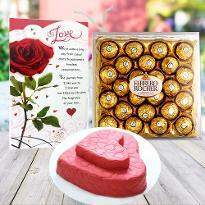 Hurry to find the best token of love for your special one! 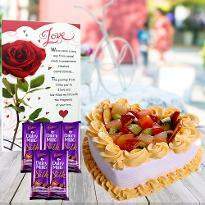 Products in this category have been rated 4.9 out of 5 based on 29 reviews.